A returns policy that was recently introduced by Amazon has outraged sellers as it will now be easier for buyers to return products at the expense of the merchants. The new policy was announced this week via email and will go into effect on October 2. Most of these sellers ship the items from their warehouses, garage or home and do not use the facilities of Amazon. The new returns policy will no longer require buyers to get in touch with the seller prior to sending back a product. The merchant will also be denied an opportunity to confer with the customer. In situations where an electronic device is being returned because it is difficult to make use of it, for instance, the merchant will not be in a position to offer assistance prior to refunding the buyer. 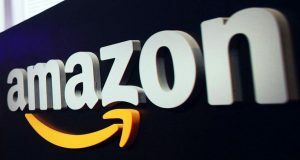 Amazon has also indicated that it will be rolling a returnless refunds feature which the online retail giant has said sellers have been requesting. With the feature sellers will be required to refund buyers without the customer returning the item since it may be hard to resell or too expensive to ship. This has outraged sellers who have argued in online forums that it will open the floodgates for scammers who will take advantage of the feature to obtain items for free. “These new features allow sellers to reduce time and costs associated with returns while providing customers with an easy and efficient return experience,” read an email statement from Amazon. Amazon’s announcement of a new returns policy coincides with the online retail giant’s entry into Australia. This is after the retail behemoth opened a fulfilment center in Melbourne that measures 24,000 square meters. Roco Braeuniger, who joined Amazon over a decade ago will head the operations in Australia. Currently Braeuniger is the consumables director of Amazon’s operations in Germany. Other roles he has had in the retail giant include outdoor products director and leisure and sporting goods category lead. The online retail giant’s Australian operations are expected to lead to hundreds of employment opportunities and among the positions that will arise include human resources specialists, systems technicians, packers, pickers and operations managers. On its website Amazon has over 170 jobs advertised all of which are based in Australia and they are both in the cloud computing and ecommerce divisions of the largest online retail company in the world.